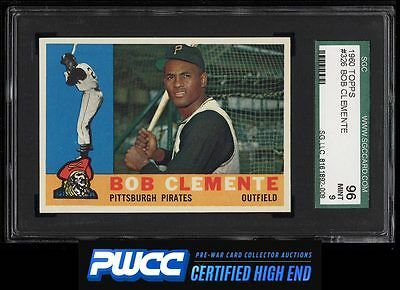 Easily the best '60 Clemente we've seen in our history. As close to a GEM MINT example as you'll ever see with four virtually flawless corners, 50/50 centering, and virtually flawless print throughout. This card glows from every angle and represents the very best this issue has to offer. Comes with our highest recommendation. One of nearly 20,000 cards, lots, and sets up for bid in our 7th Auction of 2016. Click on the link above to view the other PWCC auction lots.